Recently there has been a movement to make alleyways friendly, vibrant and more accessible. Ackery's Alley is the latest to get a makeover. There has been a movement recently to make Vancouver alleyways friendly, vibrant and more accessible. Ackery's Alley in the city's downtown is the latest to get a makeover. 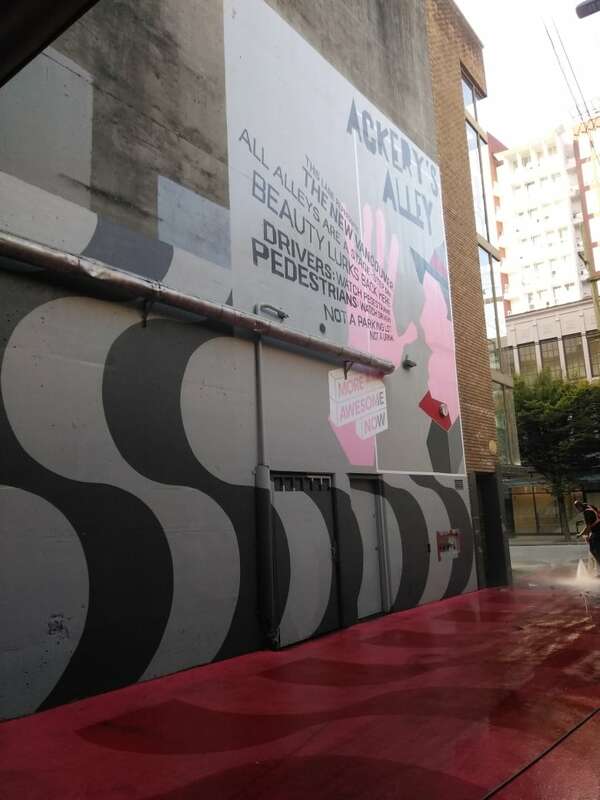 The alley is located next to the Orpheum Theatre between Smithe and Robson streets, and Granville and Seymour streets. It has been transformed into a visual and audible spectacle. "Local artists were all used, and I think that's really cool … [it's] providing opportunities to showcase Vancouver's best," Charles Gauthier, President and CEO of the Downtown Vancouver Business Improvement Association, told The Early Edition intern Rachel Wong. Psychedelic-inspired paint has been added to the walls of the buildings as well as to the surface of the road. The overpass, which connects the box office entrance to the Orpheum Theatre on Granville Street, features gold colouring. 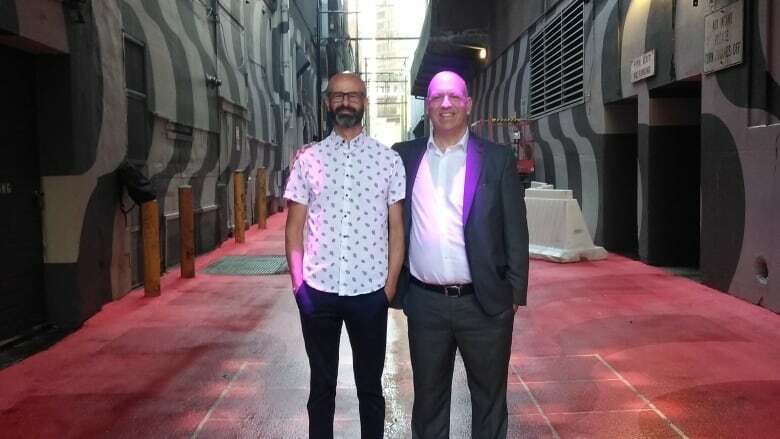 The Downtown Vancouver Business Improvement Association engaged the creative team at HCMA Architecture + Design to bring out the alley's potential. The goal was to take what can be seen inside the Orpheum Theatre, and reinterpret it outside. Alex Beim, artist and creative director for Tangible Interaction, created the alley's interactive light-and-sound installation called FIELD. "FIELD is basically a large instrument for people to play with with their whole bodies. It's kind of a surprise that they're going to find while they're walking this alley" Beim told Wong. The installation features 35 lights under the overpass. Each light has a sensor. People walking under them can change the size and colour of the lights with their bodies. Each light is attached to a sound piece. "As you move around you can basically dance under the [piece] and make your own composition," says Beim. Beim wants those who walk through the alleyway to discover layers of light and music. "It's really important for us to create pieces that are going to find people in random spaces where you least expect it and give you a chance to get out of your head and get out of your phone and be very present," says Beim. Many Vancouverites love gathering at the seawall, in front of the Vancouver Art Gallery or in Stanley Park, but Gauthier says there needs to be other meeting places. Ackery's Alley had a public launch Thursday evening at 7 p.m.